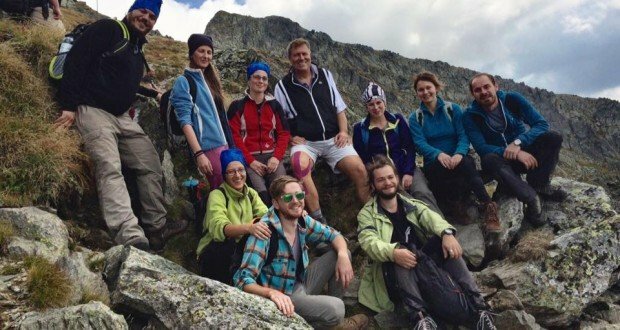 President Klaus Iohannis was seen in a photo on Nehoiu Peak in the Fagaras Mountains during the weekend. The photo was posted on Facebook by Nicolae Pop from Cluj with the message: “I climbed the mountain with this group of youngsters. 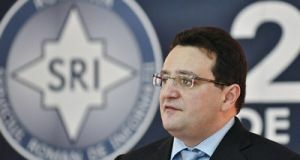 The President was with us”, local news agency News.ro reported. The photo depicts the head of state wearing sports outfit and is surrounded by ten youngsters. It’s not the first time that president Iohannis is climbing up the mountain. In August, he posted a Facebook a photo depicting him at Balea Lake, while confessing that mountain trips remain a passion for him and that Romania probably has the most spectacular landscapes in Europe. “Mountain backpacking remains a passion for me so I climbed up the mountain again. I tell you very honestly: we probably have the most spectacular landscapes in Europe. It’s worth discovering them! #BaleaLac,” wrote Klaus Iohannis on Facebook back then. The President’s wife, Carmen Iohannis is also interested in the mountain, but for now she is a great supporter of sports. Carmen Iohannis on Sunday took part in the “Kids Day” within Sibiu Open tour, where she played tennis with several children, while revealing that she wants to urge anyone to sport. “Until now I only talk about sports, but now I also want to sport a little bit and to urge the little one and grown up to sport. This is the signal I want to give,” Carmen Iohannis said.